What is Napier’s Involvement with the Craighouse Development? If Napier received millions of pounds in grant funding to maintain the beautiful Craighouse site for the public use, why is it now involved in a secretive property development consortium? What is Napier’s financial interest in the development at Craighouse? Is Napier acting as a property developer? Is the sale of Craighouse in the public interest? We are bringing you a series of articles about the main players in the Craighouse Partnership and who now owns the site at Craighouse. This should be simple, yes? Unfortunately not. However, we have done our best to break it down as simply as possible for anyone who is (quite rightly) confused. So, please stick with it. There is a great deal of confusion about who owns the site and who the “developers” actually are. Most of you may be familiar with the frontsman of the Craighouse Partnership, William Gray Muir, from Sundial Properties and many people have come to believe the owner of the site and initiator of the project is therefore Sundial Properties. This is window dressing. Who are the Craighouse Partnership? In the original briefing from Napier to the press, the Craighouse Partnership was stated to be Mountgrange Real Estate Opportunity Fund, Sundial Properties and the now infamous LA&P (more about them here). Napier University was not mentioned as being part of the Partnership, however was going to be “an active partner” in the planning process – for reasons that mystified many, ourselves included. The question of Napier’s involvement was brought up soon after the exhibitions when MP Ian Murray held a coffee morning at the Open Door for residents to talk to him about two issues: parking and Craighouse. The Open Door was swamped. There were so many people, they could not accommodate them all and Ian Murray was forced to stay on after the meeting to separately talk to everyone who had been unable to squeeze in. Craighouse dominated the agenda. Amongst the questions residents wanted to know was what was the retained financial interest of Napier in this development? However, by late last year, the listing of the companies who made up the Craighouse Partnership had changed. What is the Craighouse Partnership? The partnership comprises local Edinburgh company, Sundial Properties, Mountgrange Real Estate Opportunity Fund and Edinburgh Napier University (ENU). Why were Napier suddenly listed as part of The Craighouse Partnership? Craighouse Limited acquired the site in early 2011 through an open tendering process, although Napier University still retain a financial interest in the site. So why was Ian Murray given a different answer? Indeed, it transpires – again, contrary to what some have been told – that Mountgrange was one of a number of bidders for Craighouse. Six in all. An email from the Director of Property and Facilities at Napier University, acquired through a Freedom of Information request, lists a number of the other bidders as being desirable purchasers for reasons ranging from good reputation to likely competitiveness of offer. It is curious, therefore, as to why Napier chose Mountgrange of all the bidders, despite it being one of the bidders not highlighted. We would like to ask how building three-storey new build across the most highly visible part of the site (the orchard) constitutes “discreet”? The orchard was not identified as an area suitable for development in the Simpson and Brown Conservation Audit. 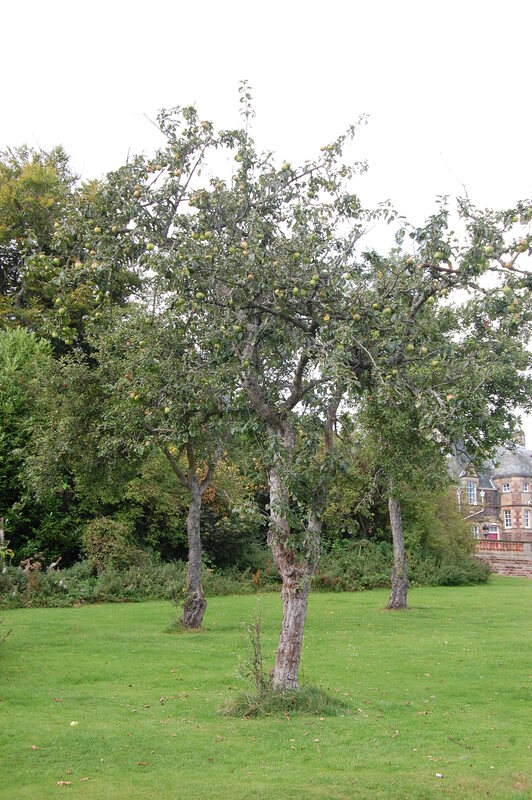 Indeed, the report said that the orchard, along with the open lawns, constituted one of “the most important elements of the landscape” with views “spectacular, almost unrivalled within Edinburgh” and that they SHOULD NOT CHANGE. Napier bought the site for £9 million, nearly twenty years ago. Joan Stringer, Napier’s Principal, spent £170,000 just on refurbishing her own office! Why are Napier now offloading the site, under-value, in a depressed market? And if they can do this at Craighouse – what does the future hold for the Craiglockhart campus? Why will Napier want to maintain an outpost at Craiglockhart when it is developing the site at Sighthill? Far from acting as custodians of the site and transparent to the general public, it now looks as though our public institutions are acting like property developers. The site at Craighouse is vitally important to Edinburgh’s heritage and future. If this highly protected and much-loved site is taken over by the excessive new-build of property developers, the rest of Edinburgh’s most beautiful sites and green spaces could fall to the same fate. We think it’s about time Napier came clean with the general public about their real interests in this development. A local group wanting to preserve the beautiful Craighouse Campus site in Edinburgh. 2 Responses to What is Napier’s Involvement with the Craighouse Development? The actual cost of Stringer’s egregious vanity project will be much higher than £170,000. That’s just the construction cost listed by the architect. It might be worth another FoI asking for the total costs of this project inculding scoping, tendering, furnishing etc. Also at what point disucssion of the likelihood of selling began – in relation to the time that Stringer instigated this project.